If your autistic child is like mine, he thrives on routine. Set up a program that works for him, and he's up with the sun, ready to jump on the school bus, and eager to do what he's done yesterday and the day before. Then the school year ends. And for many families, the problems begin. Children with autism have a tough time adjusting to transitions and change. But summer is all about vacations to new places, interactions with extended family, different routines, and unexpected events. What's even tougher is the reality that children with autism, unlike typical children, have a very hard time just playing with the neighbors, sharing with cousins, or collaborating on the choice of a video game or TV show. In some cases, asking a child with autism to just relax and take things as they come is asking for major tantrums and negative responses from friends and family. 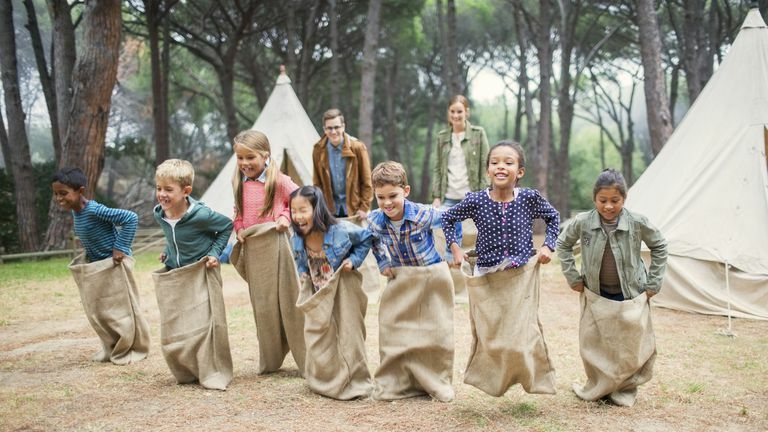 It would be nice to say "just send your child to camp," but the truth is that, with few exceptions, children with special needs are not welcome at typical camps. Yes, there are "special" camps — which, of course, cost an arm and a leg because of higher staff costs and therapeutic extras. Extended School Year (ESY) is a program which may provide a disabled child with services during the summer months. ESY programming should be offered to a student who regresses significantly in academic, social and/or related skills that are outlined in that child's Individualized Educational Program when the child is out of school for an extended period of time. Extended School Year, like most other special education programs, varies from state to state and even from school to school. Some schools test for regression during winter break, while others test for regression throughout the school year. If you do want your child to be assessed for ESY, you would be smart to be pro-active about requesting an assessment. If you wait too long, there may be no window of opportunity for assessment before ESY begins! Some schools offer virtually all autistic children some form of ESY; others are willing to go to court over the question of whether ESY is appropriate. ESY programs are developed differently by each school district. As a result, they vary dramatically in scope, style, and quality. Some ESY programs are school-based, involve relatively little recreational activity, and last for only a few weeks. If such a program is clearly designed with your child's needs in mind, it may be difficult to advocate for more, or different, programming. Depending on your child's needs and abilities (and on your school district), it may be possible to get ESY funding for inclusion in typical summer camps with support in the form of an aide. In some cases, ESY may fund (or partially fund) specialized summer camps which cater specifically to children with autism spectrum disorders or developmental disorders. It is almost always worth asking and exploring ESY options, and asking for the "Cadillac" versus the "Chevy." While there are no guarantees, you never know what can happen if you don't ask. Pinkerton, Diana. "Extended School Year," on the Kidsource.com Website. "What Is Extended School Year?" article on Wrightslaw.com Website. Bar-Lev, Nissan. "Standards for Extended School Year," on the Wrightslaw Website. Where and How Should My Autistic Child Go to School? How Have You Changed Your Parenting Style for Autism?